We want to change the way people make mobile apps. Simply put, we want to make it more affordable. So many people need so many of the same features - why keep paying for them separately? With our new crowd-driven, AppVoter (a New App & Feature Requests engine) it will become infinitely more affordable to get tens of thousands of dollars in new mobile app features and pre-built, out-of-the-box apps - for a fraction of the cost. Members who vote/pledge the most get it installed first (then down the line based on that priority). The feature(s) are not made available to the public until all Funders have had it installed in their Mobile Apps first. And, when the Features do become available to the public, they must pay fees equal to (or similar or more) to what you paid to fund the feature in the first place. Then, as other customers (and new members) buy the feature(s) you funded as an upgrade, the Funder(s) accounts (who funded the feature originally) will receive credits to their balance, which they can then use to fund future features or buy their own upgrades! 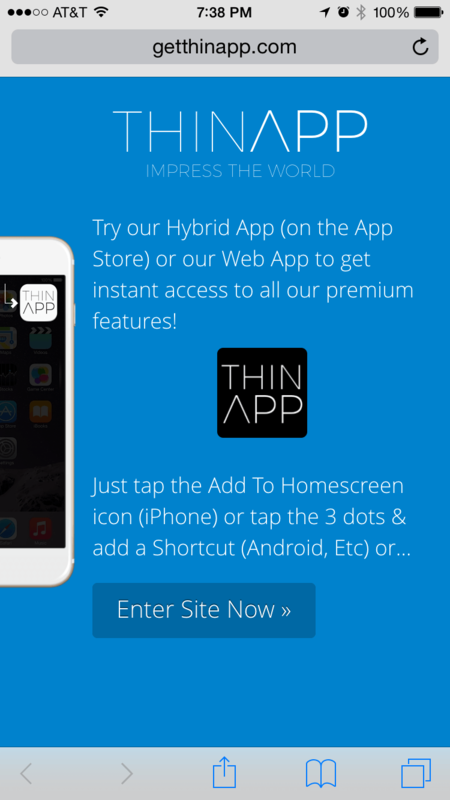 ThinΛpp is a pre-built Hybrid App platform that makes it easy and affordable to create a custom mobile App - for any business, passion, interest, website or idea. A Hybrid App is one that is both web based (ie. a Web App built in the same languages that are used to create websites) and native based (ie. built in languages that were designed to exclusively build mobile applications). 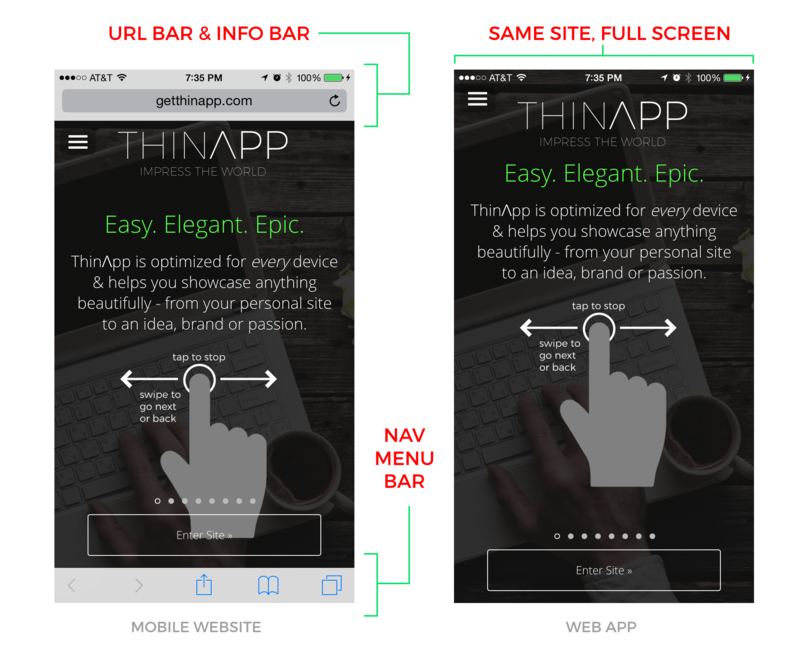 ThinΛpp is 85% Web App + 15% Native App. 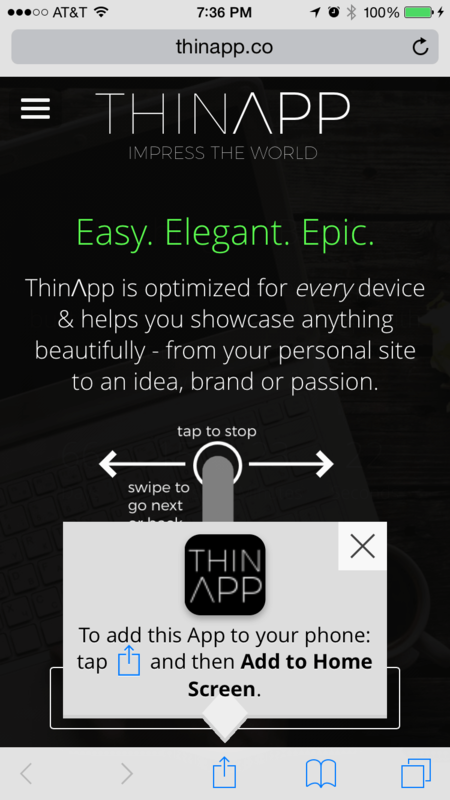 What makes ThinΛpp so unique is that while the giants like Apple and Google battle for App dominance, we’ve made a product that is not platform/device specific - and works on everything - and is way more affordable, easy to make - and easier to understand. Google’s announcement simply proves that there is an increasing interest in creating Apps that do not need to be downloaded. However, ThinΛpp does have an App Wrapper version, which allows it to be downloaded from the App Store and Google Play. Image on right - ThinΛpp’ also has a custom full screen prompt that only appears if you are not in the Web App and automatically pulls your App Icon. Note: Apple has been very hesitant to create a method for linking to a Web App (or Web App Icon) directly or starting the Add To Homescreen function from a link, however Google has recently made it possible for Android devices (and we’ll soon be adding this to ThinApp). Up until recently there wasn’t even much support by Apple, Google and Microsoft for mobile browser based features that contribute to the web app experience (ie the browser on your cell phone). In fact, the evolution of the mobile browsers themselves had been fairly slow up until the middle of 2015. This could possibly be because Apple, Google and Microsoft’s focuses were all respectively elsewhere. 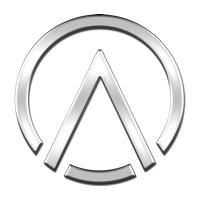 We, and a small movement of developers around the world, however have been eagerly tracking the progress of this technology with each new device (and mobile operating system) release...slowly improving until things finally arrived to a point where we felt the technology was good enough to present a really valuable solution/product. And, to summarize - We drew from 20 years of making websites, 50+ years of combined web development, internet/online, UI/UX design and internet marketing experience and a large amount of obsessive determination to create a custom coded, hand crafted product that is so complete it can be used out of the box or quickly adapted to practically any idea - thus making ThinΛpp the most powerful, flexible website (and App) platform in the world. Note: We opted not to tackle accelerometer, gyroscope, motion graphics, etc (ie. things commonly used in exercise and gaming Apps) as those don't make up the bulk of the Apps that are actually out there. This gives you the best of both worlds. 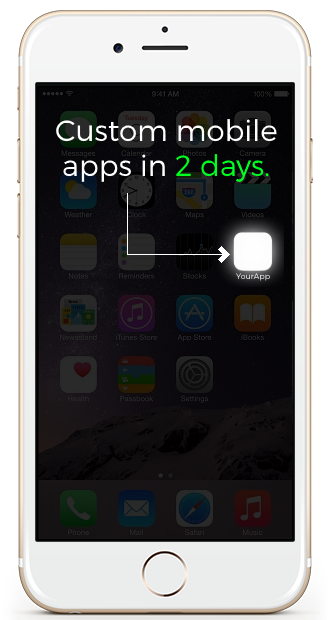 We can put your App(s) in the App Store(s) - and under our Developer Licenses, saving you another $99. We have testing, deployment, hosting, backups, security and pretty much everything you need - down to a science.